Watch full RWBY Season 5 Episode 6 full HD online. Cartoon video RWBY Episode 58 online for free in HD. Qrow goes around Mistral to search for Huntsmen, but none of them are available. Raven explains to Yang and Weiss about why she joined Beacon: so that she could fight back against other Huntsmen that would pose a threat to her tribe. Raven then shows off her shapeshifting ability and offers Yang a choice to stay with her and get her questions answered, or join Qrow and Ozpin. 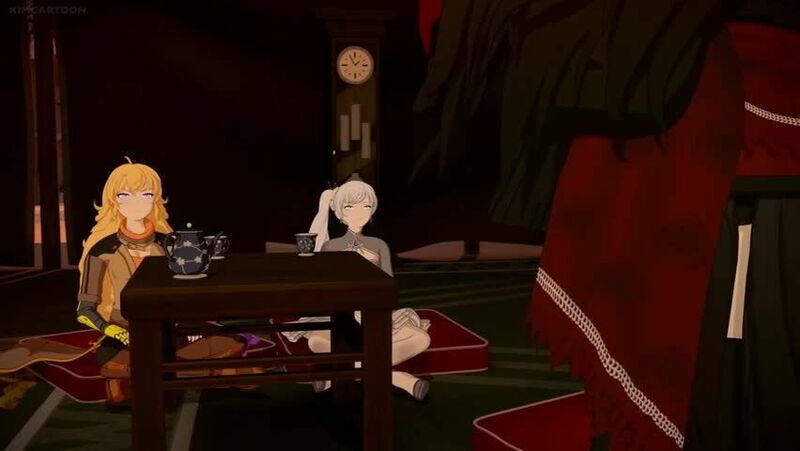 Yang and Weiss choose to leave to get to Ruby nonetheless. Yang and Weiss head back with Qrow to the place that Team RNJR and Oscar are staying at, and have an emotional reunion with Ruby.